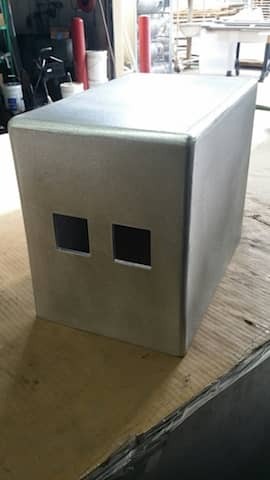 This custom made aluminum box was planned and designed by the customer to 100%. 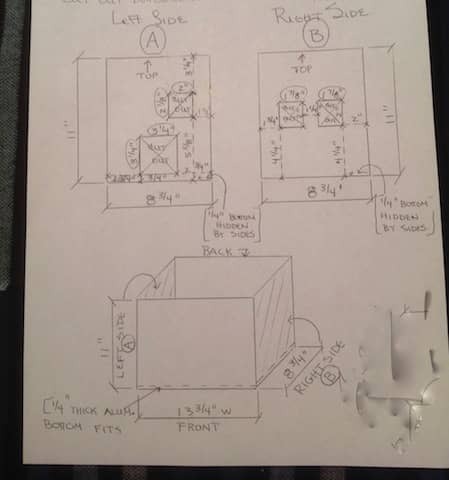 As MetalsCut4U we first had to see if we can fabricate the aluminum box to the specifications the customer gave us in form of a hand drawing. Needless to say that we were able to laser cut the aluminum, bend it and weld the corners to fit the customers needs. We are specially happy to being able to help as this customer needed this box for a special designed wheelchair where this box will hold a special oxygen container. Hopefully we will be able to show you the final product. As far as we know the wheelchair is being assembled now and other features need to be added to make it a little better world for our customer. 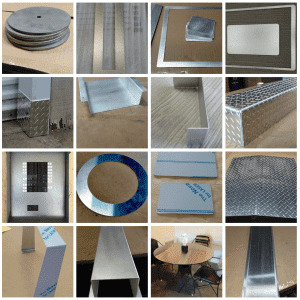 Sheet Metal - we cut it - we bend it - we weld it.